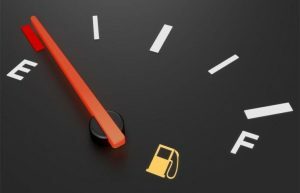 Fresh off substantial fuel price hikes in March, South Africans should brace themselves for further increases in April, says the Automobile Association (AA) commenting on unaudited mid-month fuel price data released by the Central Energy Fund. But, the Association notes, increases to the fuel levies will push the prices at the pumps even higher when they come into effect in April. “With the addition of the increases to the levies, our outlook for April sees petrol increasing by R1.18 a litre, and diesel by 90 cents a litre. There are no levies added to illuminating paraffin,” explains the AA. The AA says movements in the exchange rate have contributed 23 to 26 cents of this increase, with the balance coming from changes in international product prices. It notes that the CEF’s analysis shows that international oil prices contributed 73 cents a litre of the rise in the case of petrol. “It is difficult to reconcile that figure with the general stability shown by the daily prices since the start of March,” the Association comments. “We hope that data will provide more clarity as the month unfolds, but there is a further fly in the ointment, which is that increased fuel taxes become applicable in April,” the AA notes. The Association says this will push the proportion of taxes and levies on the fuel price to around 38% of the cost per litre in the case of 93 unleaded petrol. “When fuel taxes were proposed as a roads funding mechanism, the government resisted, claiming they were anti-poor. But the fuel levy has nonetheless risen by nearly 22% over the past three years. Given what is emerging at the Zondo Commission of Enquiry, motorists are justified in asking what this money is being spent on,” the AA concludes.